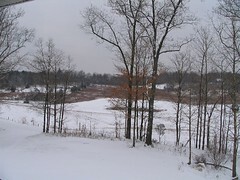 This is from our snowfall last Thursday (12/8/2005). The photo was taken Friday morning. The Morning After Originally uploaded by Marc Bever. December 13, 2005 by Marc.